I can’t be fair to The Witness. Not that it needs me to, mind you; despite avoiding reviews it’s been impossible not to hear about the heaps of critical acclaim being showered upon Jonathan blow’s seven-years-in-the-making follow up to Braid. But it’s worth saying right off the bat that I came to this game already fed up with the hype, less than enamored with Blow’s cult of personality, and frankly a little shocked by the $40 asking price. This left me disinclined to be charitable to it. 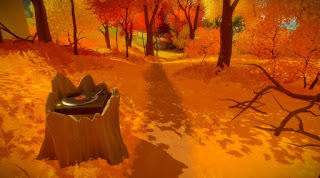 It’s also worth saying that I liked Braid quite a bit and should be exactly the overly-analytical, found-narrative-obsessed target market that The Witness seems to be looking for. But I really didn’t like The Witness; in fact I kind of hated it. That’s confusing, because I liked quite a few things about The Witness. I love the way it looks, for starters. You’re dropped onto a blazingly colorful island best described as a giant Myst puzzle box thrown into the middle of The Wind Waker’s archipelago. It’s completely deserted save for a few biblically ominous salt pillar people, and immediately brimming with mystery and mystique just begging to be untapped. I love the sense of atmosphere this mystery creates. I appreciate the loneliness and desperation for discovery it imparts. I like the way it sounds, invisible animal ambience interrupted only by the soft hum of derelict electronics left behind for your repair. I like walking round through this world, gravel crunching convincingly beneath my feet as a fully model-rendered shadow trails behind me, a sole reminder of my lonely humanity. And yet I hate the way it plays. I hated almost every minute of it more than the last. Almost immediately upon arrival, you learn that your movement through this island is impeded by a seemingly infinite series of locked doors and contraptions, all (with unmentionable exception) opened by solving a sequence of two-dimensional line drawing grid puzzles reminiscent of the ones you used to find on the back of cereal boxes, only infinitely more fiendish. And that’s basically it. You solve these line-drawing puzzles on a screen to power a second screen. You solve the line-drawing puzzle on that screen to power another screen. Eventually these screens open a door behind which there are more screens. And you keep solving line-drawing puzzles to power more screens to open more doors, and hours later when you realize it’s never going to end you start to scream. No buts about it, this is lovely, lovely looking game. But. 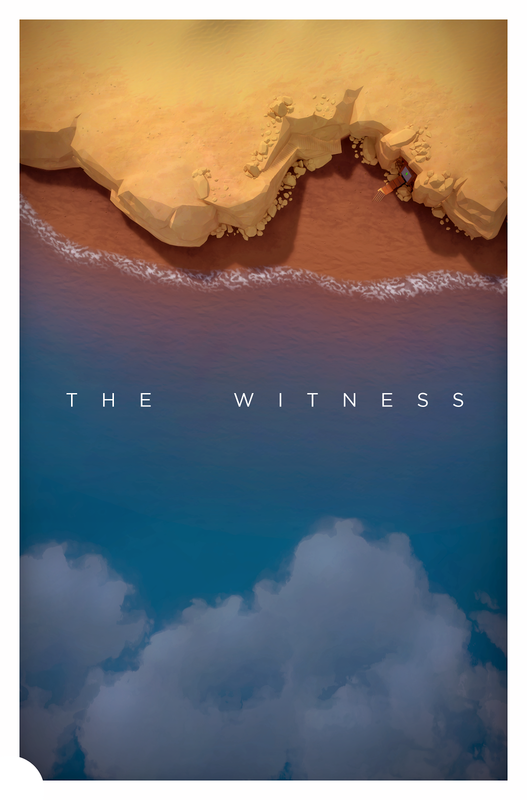 Now I have it on good authority that The Witness does in fact end. All these hours of attempts later, I have no intention of finding out for myself. If you enjoy these endless line-drawing puzzles on any level, those days of investment might be worth your while. If you despise them as much as I do, you quickly learn that the reward for enduring misery in The Witness is...more misery. I do mean misery. The puzzles start out simple enough but, thanks to often woefully insufficient tutorials and my own lack of skill, quickly become inscrutable. There’s generally nothing interesting about them from a uniquely game-specific perspective; most of them (again with limited exception) could just as easily - probably more easily - be played on pen and paper, preferably in short bursts, which may lend better to the eventual iOS port. As the core mechanic for exploration in a massive exploratory simulator, they are perhaps one of the most frustrating pieces of game design I have ever encountered, and their absurd degree of conceptual simplicity almost seems to mock the player for wanting something more at every turn. At least if you’re as bad at figuring them out as I am. In that sense it is every bit the Anti-Portal, whose puzzles not only serve as gateway to a rich and humorous narrative experience but which develop and evolve in ever-increasingly conceptually interesting ways. These mazes exist to teach you more mazes. Get used to this. You’re going to be staring at it a lot. I say this as someone who’s otherwise a glutton for punishment in games, assuming that punishment pushes me to self-betterment and serves as the gateway to a more rewarding gameplay experience, as in Dark Souls or Dota. The Witness’s puzzles serve no such purpose. Mastery of one particular type of puzzle only means the introduction of a new and utterly alien type of puzzle whose solution spits on any wisdom you might have gleaned from previous experience. There is no joy, no satisfaction in conquering these puzzles - only relief, quickly cut short by the arrival of another. There is no narrative reward for your progress beyond access to more empty areas, no promise of rich storytelling of the Souls variety or even of a Firelink Shrine at which to rest and reflect on your visible progress. At best you might after many painful hours unlock a few faux philosophical audio logs and rejected TED Talk videos from Jonathan Blow’s tumblr. At worst, the reward for your misery is, say it with me: more misery. Maybe that misery is the point. Maybe Blow is the mad genius The New Yorker and a sizable cadre of followers proclaim him to be. Maybe the message of The Witness is the misery, the cold and uncaring judgment of an absent Designer God who has condemned you to suffer through a superficially lovely purgatory to teach you a lesson about the Meaning of Games and the ascetic need to remove from them the concept of fun or player engagement on that quest for Meaning (the rather unsubtle reading Blow himself has pointed toward in interviews and pre-release teasers). Maybe these audio logs and textual tidbits aren’t the pseudointellectual, bombastic drivel they seem to be or that Braid’s heavy-handed storytelling frequently was. On the other hand, there’s some indication in the text that Blow is in on the joke and thinks this is all every bit as ridiculous as I do, and maybe that is the point. If so, it’s a cruel one, albeit one plenty of people are happy to be a part of. The Witness promises much and delivers little, unless its core and only puzzle mechanic happens to click with you. It’s a sad, tantalizing, almost beautiful glimpse into a world of imagination that instead reveals itself to be full of nothing but half-baked ideology, somehow more self-important in its failures than Braid’s (largely ignorable) writing ever managed to be. But hey, your mileage may vary. Labels: Joyless Enterprises , Le Arte , Thick Cloud of Smug , What R U Casul?